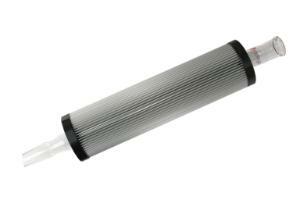 The borosilicate glass condenser is designed to have a greater internal surface area than traditional condensers, giving it increased heat transfer capacity. 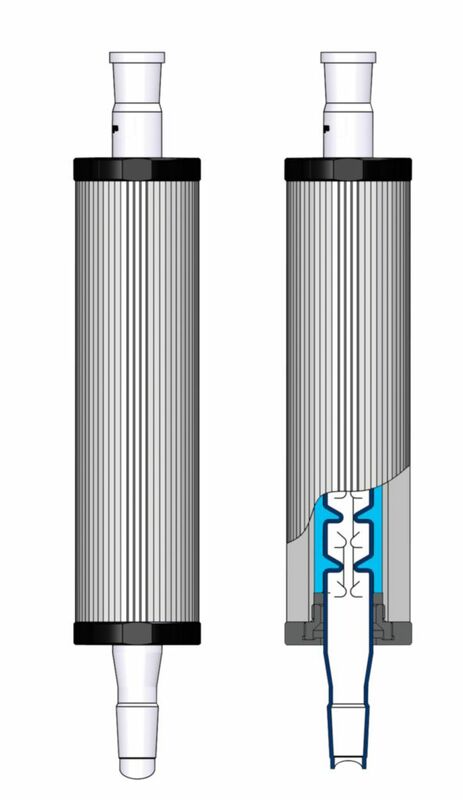 The finned jacket fits around the glass condenser further increasing the external surface area. 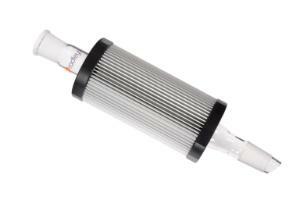 The result is a super air condenser that preforms as well as a traditional water condenser. 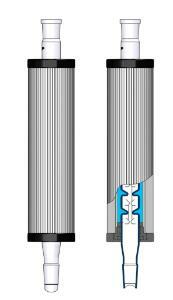 With the Findenser there is no risk of flooding from running water. It eliminates water purchase and disposal costs, and it helps meet sustainable water reduction targets. Not only does the Findenser provide excellent heat transfer but it also removes the need for water cooling. 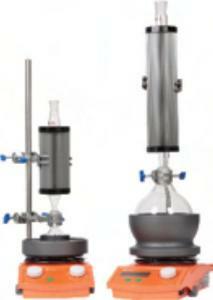 This system can be used for 95% of all common chemistry applications, replacing the need for water cooled condensers. Ordering information: Findensers cannot be autoclaved.